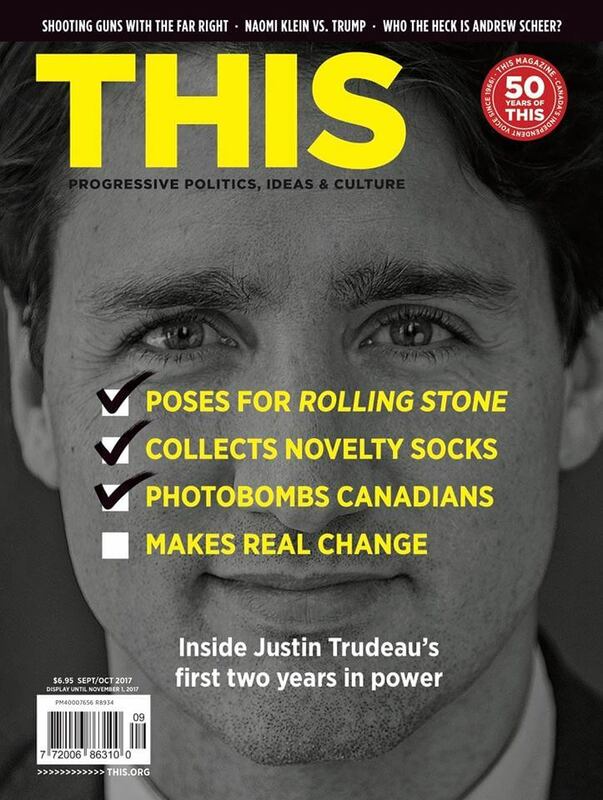 This Magazine → Join us at our panel event: Trudeau Two Years In! Great news for our Toronto readers: We’re hosting a panel event to celebrate the launch of our September/October issue, and we want you to come! Justin Trudeau has reached the midway point of his term as prime minister. Join This Magazine and our panelists Ashley Csanady, Supriya Dwivedi and Kyle Edwards as we look at Trudeau’s performance so far on everything from the economy to social issues to Indigenous issues and more. Admission is $5 and includes a free copy of the magazine. Be sure to head over to our Facebook event for more—and don’t forget to RSVP!